It was meant to be a workout. Not one of the prescribed "full efforts" that had made the anticipation for Ocean State and Shore Coaches palpable. But the difficulty of the Sunken Meadow Course would ultimately sway that race plan. After you've put in the work, and crested the top of Cardiac Hill, what's stopping you from attacking the downhills all the way to finish? For Katelyn Tuohy, nothing was. There was clear pacing through the first two miles, still hilly in their own right, as Tuohy took the course for a tour ahead of the New York State Meet, to be held at Sunken Meadow on November 10th. The original plan was to simply scout the layout, learn the intricacies of one of the Nation's slowest courses. To run 30seconds hard, then 30 seconds relaxed. Evidenced by glances at the watch, the plan was well into effect. That is, as we mentioned, until after cresting Cardiac. Tuohy's final finishing time was 16:52.97, rounded up to 16:53.0 as all XC times are required. It would have been the third fastest time in the guys race. The mark smashed the previous course record, set by Aisling Cuffe (Cornwall) in 2009, when the course was then the Regional Qualifier for Foot Locker. Cuffe had run 17:45.9 to win that race, becoming the only girl to break 18mins in the courses storied history. In addition, the course has hosted the New York State Meet four times prior, inviting athletes like Courtney Chapman (FM), Erin Davis (Saratoga), and local Christine Curtin (Mepham) to add their names to the Course Records listing. Tuohy beat all of them by over a minute. The course ran deceptively fast that day. Besides Tuohy, three girls broke 19mins on the course in her race. While it doesn't sound exceptional at first glance, only two girls had broken that barrier all year. The course running fast was a surprising turn, after rain had flooded the course the night before, and partially during the race. But due to the course make-up, much of it sand and gravel, the footing remained stable, allowing for such a quick time. These facts, along with Tuohy's workout mentality, demonstrate why her Speed Rating, despite smashing the course record, came out to only 173, roughly four points (12seconds) lower than her "All-Out" efforts in the previous few weeks. We're promised more to come when States rolls around. At this point, it would seem like any race Tuohy enters would be considered a time trial. 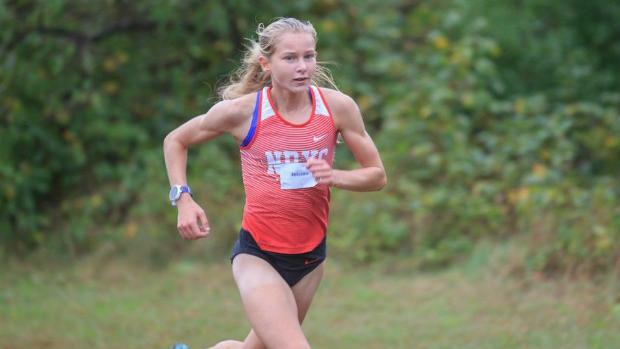 But with athletes like Kelsey Chmiel (Saratoga) , who ran 162 earlier in the year, and Claire Walters (FM), who became the 5th fastest female athlete ever at VCP this weekend, there may be some extra added accelerators to that race. Tuohy can next be seen at Section 1 Coaches at Bowdoin Park, where she set the Course Record the year before. Again, it's not intended to be a full effort, but neither was this. Her next projected "All-Out" effort is scheduled for her return to Bear Mountain, at the Rockland Champs. One of the knocks attributed to athletes of Section 2, is that they can only run well at SPAC. 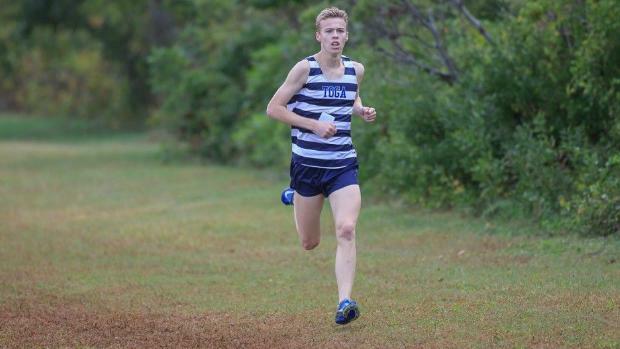 While they've been disproving that theory for years and year, Shea Weilbaker (Saratoga) reinforced the idea by becoming the first athlete to break 16mins at Sunken Meadow State Park since Mikey Brannigan (Northport) ran 15:45 in 2014. 2016 Steeple Champ John Lauer (Sachem North) and XC Fed Champ Mason Gatewood (Saint Anthony's) all came within 4seconds of doing so, but both fell short, becoming the closest to do so since Brannigan. 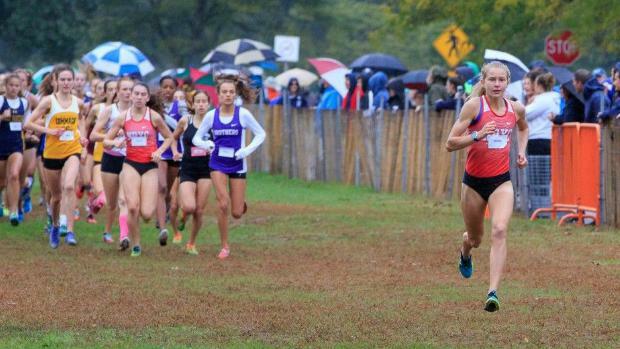 Saratoga Senior Shea Weilbaker ran to the win yesterday in 15:52.9. He makes for the 46th athlete to ever break 16mins on the storied course, and lands him at #36 overall. The race marked a reaffirming accomplishment in a season that has seen an enhanced competitive ability from Weilbaker. Sweeping both the Indoor and Outdoor 3200m State Meet races on the track, Weilbaker wasn't the breakout star in XC in 2017 that he is now. After a new victory at McQuaid, and then this which garnered the highest Speed Rating of the year by a New Yorker so far, Weilbaker is establishing himself as a favorite for a State Title. In addition, his Speed Rating is the third highest in the country so far, as well. Saratoga returns to race at SPAC over the next few weeks, in a bid to return to Sunken Meadow to contest for the State Title.